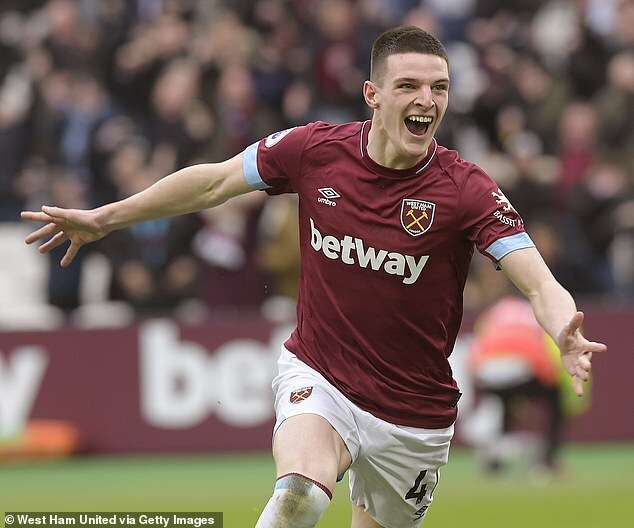 Gareth Southgate is set to bring Declan Rice straight into his Three Lions set-up after the West Ham midfielder switched his allegiance from the Republic of Ireland to England. 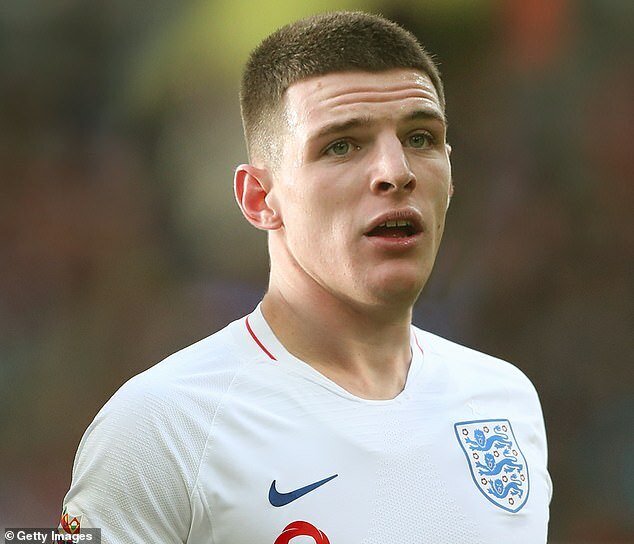 The 20-year-old spoke to Ireland boss Mick McCarthy and England manager Southgate yesterday to inform them of his decision. Rice, who has won three senior Ireland caps — all in friendlies, which allows him to change his mind — qualifies for the Republic through his grandparents but was born in England to English parents. He grew up in Surrey and joined Chelsea’s academy as a seven-year-old before moving to West Ham at 14. He said: ‘This has been an extremely difficult decision and not one I ever expected to be making at this stage of my career. In recent months, I have discussed it with the people who mean the most to me. ‘My parents, my family, my girlfriend and my closest friends. I have also spoken to Martin O’Neill and Mick McCarthy, Gareth Southgate and to friends and colleagues within the game whose opinion I respect. ‘Like so many people, I consider myself to be of mixed nationality. I am a proud Englishman, having been born and raised in London. However, I am just as proud of my family’s Irish heritage and my affinity and connection with the country. ‘I have equal respect and love for both England and Ireland and therefore the national team I choose to represent is not a clear-cut, simple selection. 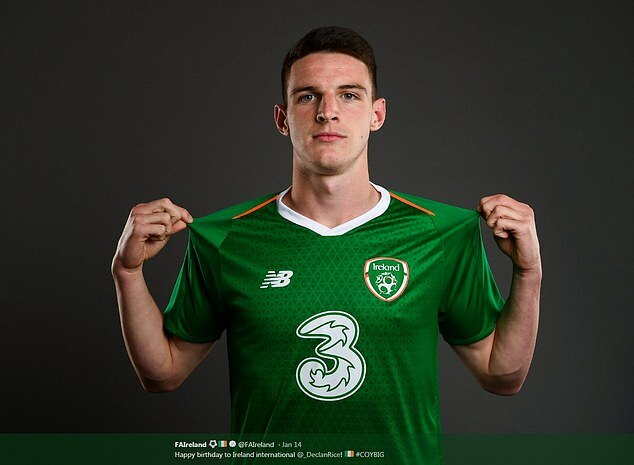 A written request has now been submitted to FIFA to change Rice’s registration from Ireland to England, with the switch almost certain to be granted. Southgate will give serious consideration to drafting Rice into his squad for next month’s Euro 2020 qualifiers against Czech Republic and Montenegro provided his registration is finalised. Rice has been offered no assurances of a place in the senior set-up by Southgate but the manager and his No 2 Steve Holland have been hugely impressed with his performances for West Ham and already view the midfielder as good enough for full honours. The England manager believes Rice can become the anchor in the national side’s midfield for the next decade. It is a role Tottenham’s Eric Dier has played regularly in recent years. Rice added: ‘I fully accept that some Irish supporters will be disappointed by my decision, and that everyone has different opinions in regard to the rules around international representation. ‘My pride at wearing the Irish shirt was always 100 per cent genuine. It was a great honour for myself and my family, and something I will always cherish.